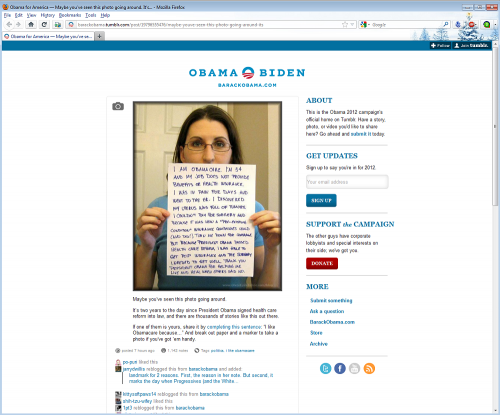 And I’ve been featured on the official Obama For America tumblr page! 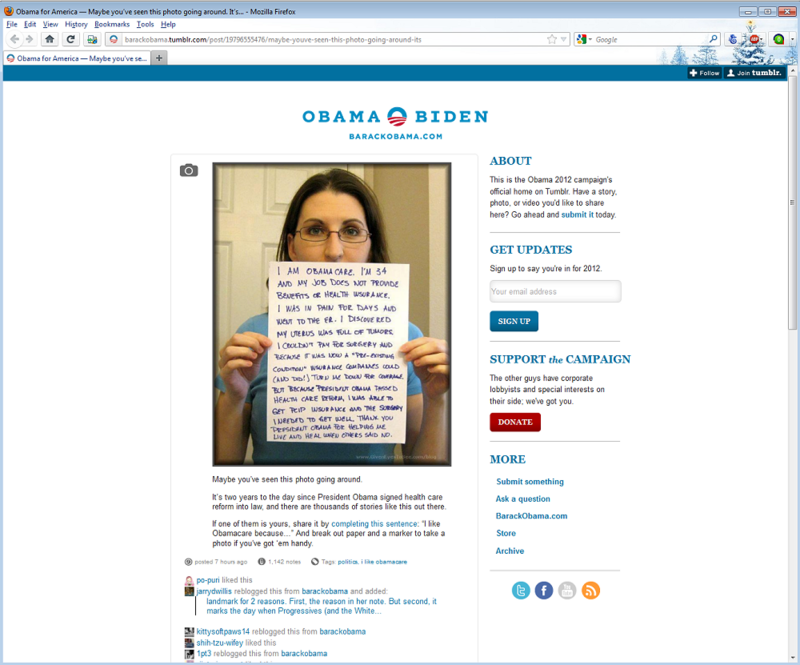 The image of course, is from the entry, I am ObamaCare that I initially posted in October 2011, but went viral in January 2012. Now, with the 2nd anniversary of the Affordable Care Act (or “ACA”), the President is collecting stories of people who have been helped by it. And he shared my own image and story on his official tumblr page today. This week, I also celebrated a milestone – it’s six months since my hysterectomy and I’m healthy. Beautifully, wonderfully, healthy. 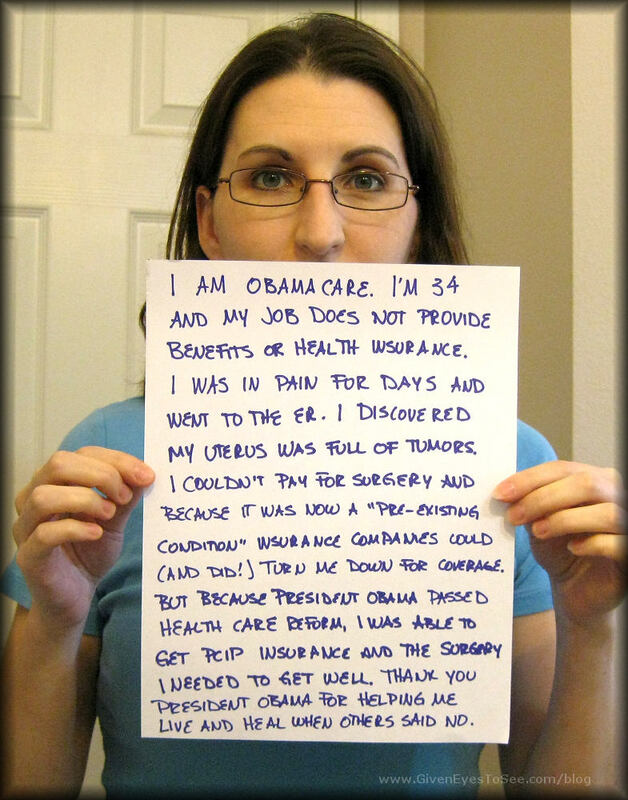 And it’s all because the ACA put in place the Pre-Exisiting Condition Insurance (or “PCIP”) which was what allowed me to get my surgery. Without PCIP, I don’t know where I’d be right now. The difference in my life simply by being able to get insurance after receiving the diagnosis of 3lbs of tumors in my uterus changed my entire life. Thank you President Obama. And thank you to everyone who’s supported me and everyone else who’s been able to have coverage or access to medical care because of the ACA!